Welcome to Marc Kurowski's MWOY Fundraising Page! Please join us as we celebrate the success of our amazing Candidates and their Teams on Friday, May 17 at 6:00PM at the Star Barn in Elizabethtown. 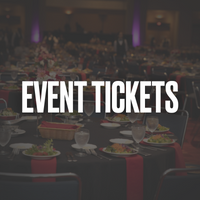 Table sponsorship includes 8 tickets, as well as sponsorship recognition at table. Each ticket includes a plated dinner, open bar, silent and live auctions. Dress is black tie optional. Grand Finale - Table have been added to your cart. Please join us as we celebrate the success of our amazing Candidates and their Teams on Friday, May 17 at 6:00PM at the Star Barn in Elizabethtown. Ticket includes a plated dinner, open bar, silent and live auctions. Dress is black tie optional. Grand Finale - Individual Ticket have been added to your cart. Its our turn to tap in and put up a fight in support of the many loved ones we know looking for a cure. Let's fill the riverfront lawn at King Mansion on May 8, 2019 from 6-8pm for an all-levels challenge with Man of the Year Candidate, Marc Kurowski: 10 Moves; 25 Reps of Each; Repeat 4x in 60-Minutes; You in? We promise to work your muscles from head to toe, get your heart pumpin and push your limits. Your $10 ticket will go 100% towards Marc's Fundraising Goal of $250,000. Post event food will be available for purchase from 717 Tacos! 250K Reps Challenge have been added to your cart. Join J. Marc Kurowski at Greystone Public House on Wednesday, May 1 at 5:00-7:00pm for an incredible evening of entertainment, hors d'oeuvres and cocktails! Tickets are limited so purchase yours now! Tickets are $100 per person or $150 per couple. Put a Fork in Cancer - $100 per Person have been added to your cart. Put a Fork in Cancer - $150 per Couple have been added to your cart. Calling all car fanatics! Come check out some high-end rides from Audi R8s to vintage Rolls and everything in between on May 11 from 10am-2pm. Best part? It benefits LLS! Additionally, there will be auction items (including some Dukes of Hazard swag) and an opportunity to win an evening to host your own private event at the Historic King Mansion!! Supercars at The Mansion - Individual Tickets have been added to your cart. Join us at Historic King Mansion immediately after Jump Streets Derby Day, on May 4 from 7:30-10:00pm, for an after party celebration with DJ Caraby - dancing, drinks and much more! Derby Day After Party - Individual Tickets have been added to your cart.